Have you ever been in denial about something? Of course you have. Even if we are the most level headed, concrete thinking persons in the world, there will be times when we have denial regarding something…hopefully we work our way out of it! 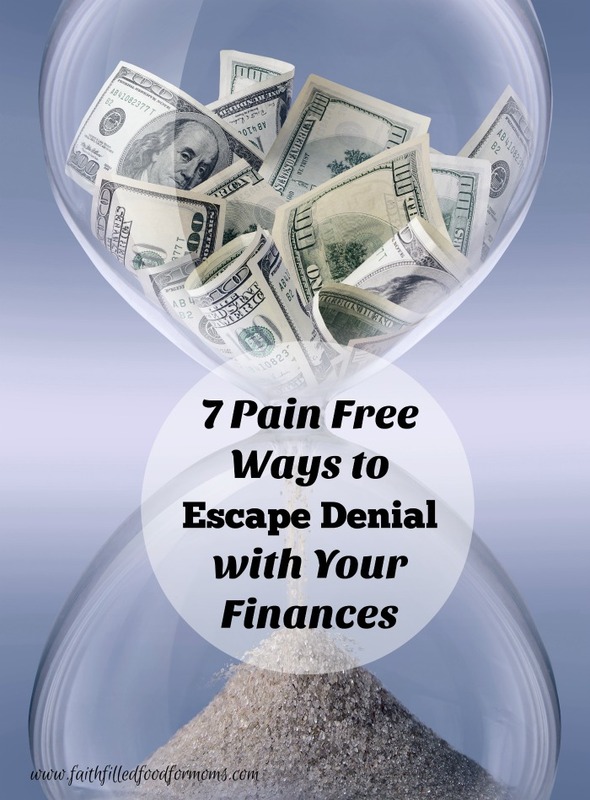 I’m super excited to share with you a financial planning website called SUM180 and the 7 pain free ways to escape denial with your finances that I discovered over the past month. This is a sponsored post in partner with SUM180 and TapInfluence. All opinions are mine. Many of you know that we have a very large family…7 children to be exact. There are a lot of challenges and blessings that come from large families. Finances are a HUGE one. Umm not too much money, but possibly not enough. Or so it seems, because we know that God provides ALL of our NEEDS. I’m about as frugal as they come. I have devised more ways to cut back on finances when it comes to cooking, household, groceries, bargains, clothing and anything related to finances and living on as little as possible without being neglectful…of our family. However…one of the things we have been neglectful about over the years was planning for retirement. Somehow in the busyness of raising 7 children, my husband and I left ourselves out of the financial planning equation. Oh we have a little plan, as my husband works for a school district and I work part time for a school district…there is a little retirement…but that’s about it! Our denial comes from thinking that we will be young forever! Be brave. Alright I admit it, in the area of finances I can be filled with fear. Here’s the thing, it’s usually not even REAL fear. It’s not based on fact, but on what I THINK our financial situation is. So the first thing I had to tell myself…Be brave Shari! Look at the facts, don’t just guess what your financial situation is…get the facts! Do one thing. The one thing that we chose to do first was to sign up with SUM180 and take the online interview. The online interview gathers up all of your financial information and creates an overall snapshot of your finances and gives you a map/plan for moving forward successfully. Forgive yourself. What’s done is done. You can’t bring back time and you can’t become rich or financially successful overnight. We had to accept that we haven’t been the best stewards of our money in the area of retirement. Ask questions. If we really wanted to move forward with our vision, we had to ask questions. Questions about how we are going to get from point A to point B and questions from the professionals. SUM180 has a great community where you can ask questions and get answers. Make adjustments and set a goal. Once we received our financial plan we went over it thoroughly. The financial plan is PACKED with great information and contains much more than just dollars and cents. We were able to see which areas were on target with spending and talk about how to make adjustments. The Plan also covers what the NEXT Steps are! Be honest. The biggest problem with denial is that it is all based on a lie. We can lie to ourselves and pretend things are ok…but in the long run it will lead to disaster and heartache. We must be honest with ourselves, accept where we are and have faith to move forward. Life can be hard my friends…there are many, many situations that can way lay the very best financial plans. The thing is though; we need a plan no matter what road and what vision we have. Goals must be set and denial must be broken. 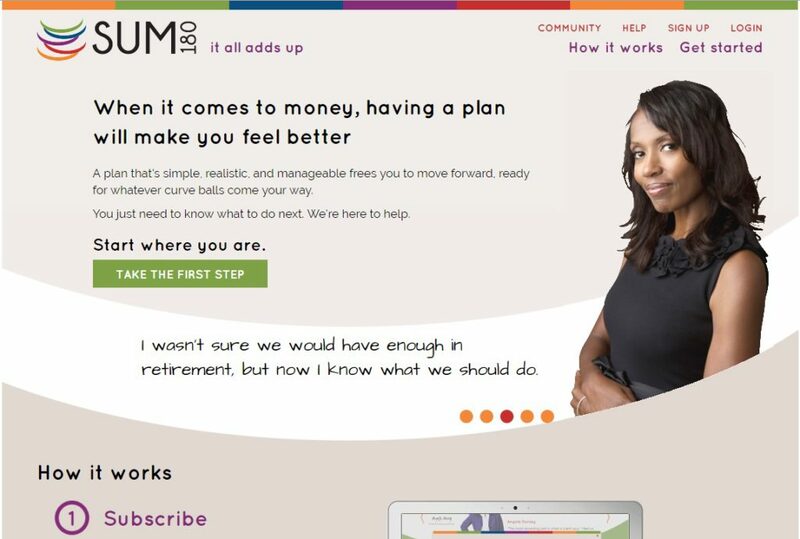 Some of the other benefits we’ve really enjoyed about the SUM180 website is their weekly webcasts. Very short and to the point, covering all kinds of financial advice, facts and planning ideas. The last one I watched was about paying off college debt. Near and dear to our hearts as we have a student in college going on year 3 and another about to attend after this year! Don’t get to the end of the road and WISH you had done something different. Use the beneficial resources out there. What advice would YOU give those trying to become financially responsible and make plans for the future?